Following the success of its first year in Orlando, the National Football League (NFL) Pro Bowl completed another successful fan-filled event with a 24-23 win for the American Football Conference (AFC) against the National Football Conference (NFC). 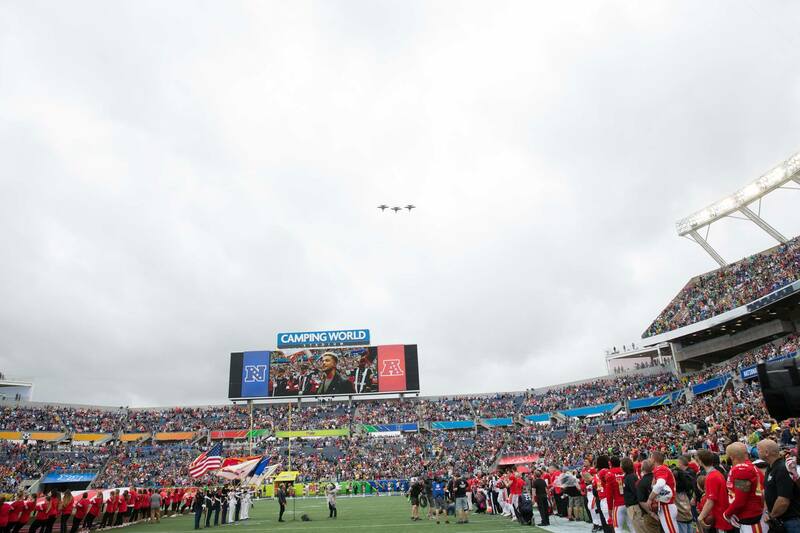 Orange County and Camping World Stadium hosted thousands of guests at the highly anticipated 2018 NFL Pro Bowl on Jan. 28, which was televised on ESPN and ESPN Deportes, and simulcast on ABC. The Pro Bowl showcases a matchup of skills between 84 of the best all-star players from more than 30 teams in the NFL, including the Miami Dolphins, Atlanta Falcons, Baltimore Ravens and the Pittsburgh Steelers. Leading up to the game, the NFL again hosted the Pro Bowl Experience celebrating all levels of football, from youth to high school, at Disney’s ESPN Wide World of Sports Complex. The week-long immersive showcase gave fans the chance to watch their favorite players practice and compete in the Pro Bowl Skills Showdown. Fans also had the opportunity to experience virtual reality and interactive games and take a photo with the Pro Bowl trophy. “We are building on the success of last year’s Pro Bowl events in Orlando and are pleased to again host our annual all-star game and events in this area, one of the most popular destinations for families from around the world,” Roger Goodell, NFL Commissioner said. This was the second year Camping World Stadium hosted the NFL Pro Bowl and an option for a third year remains. Pro Bowl had an estimated $40 million economic impact in the community last year. The Pro Bowl was held previously in Honolulu County, Hawaii prior to 2017.